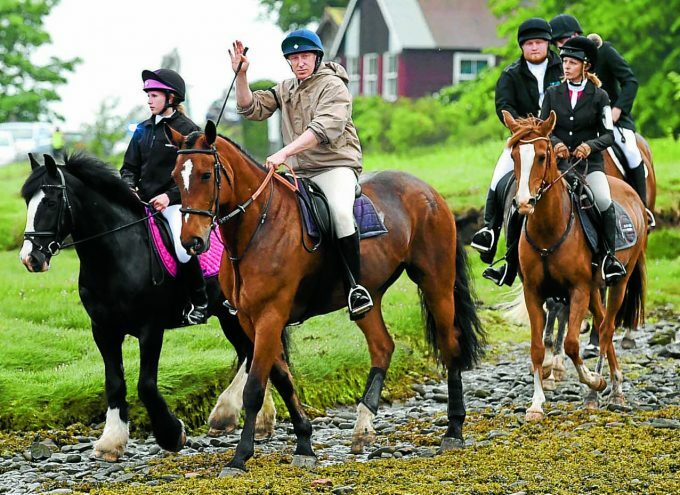 THIS year’s Annan Riding of the Marches got off to a great start on Wednesday with the first ride out. 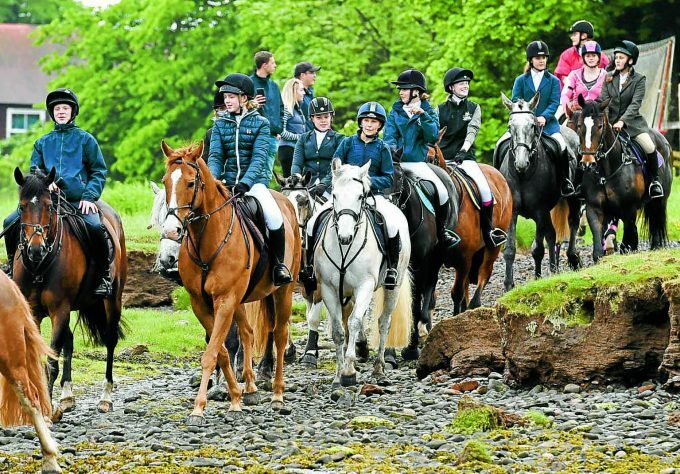 Over 50 horses met at John Bell’s car park for the first major event for the new principals. Setting off at 6.30 pm, the principals led the cavalcade on the long route. 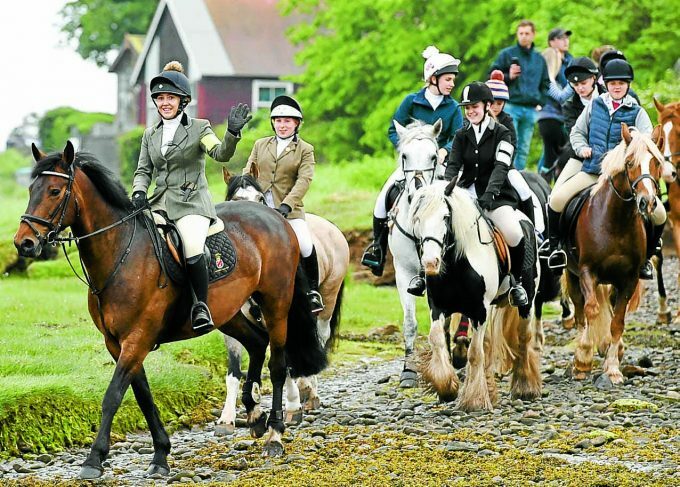 The rain held off as the riders made their way to the shore and enjoyed a gallop along the sand. 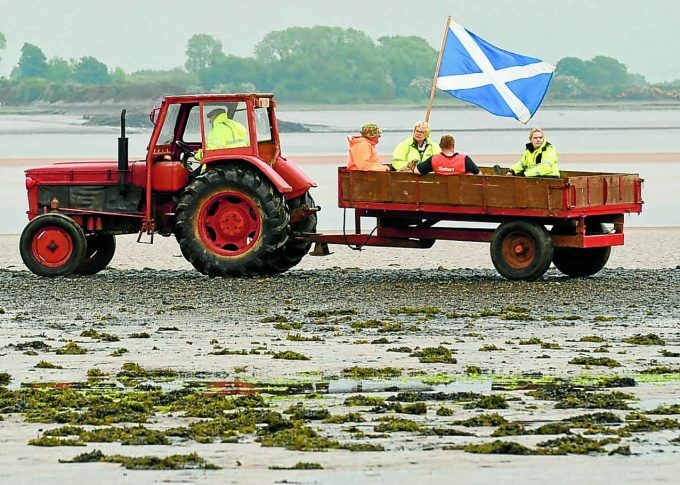 The ride out took around two and a half hours to complete, covering an estimated ten miles. 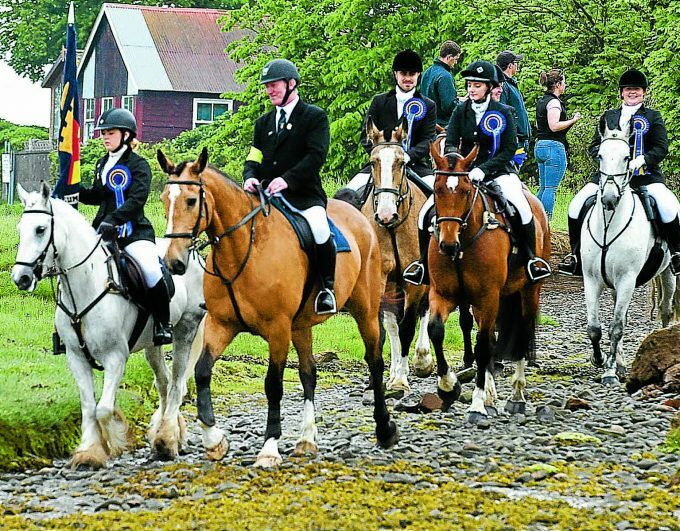 The next event is the Firth ride out, starting at John Bell Field and with a stop at The Firth Hotel.